Being one of the renowned firms in the industry, we are decidedly involved in providing a high quality array of Cotton Embroidery Handbag. 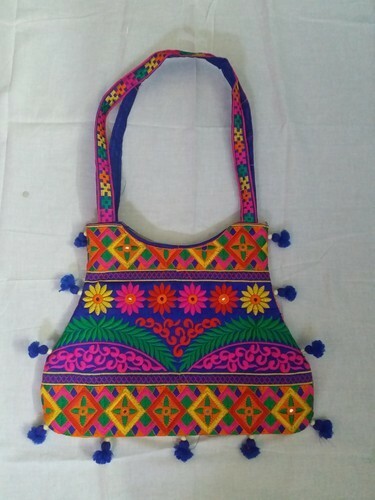 Incepted in the year 2009, we “Shree Hari Creation” are engaged in manufacturing, trading and wholesaling a wide assortment of Banjara Bags, Handicraft Handbag, etc. Situated at Kalol Gandhinagar District (Gujarat, India), we are a Sole Proprietorship company and design these products as per the set industry standards. Managed under the headship of "Mr. Mayur Gajera" (Proprietor), we have achieved a significant position in this sector.